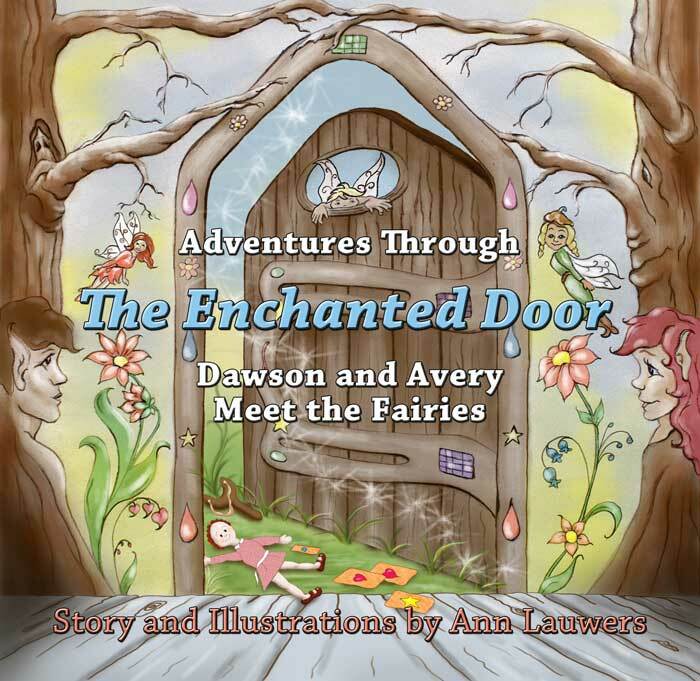 Dawson had found a small hand carved wooden door. It looked very old and worn with colorful gemstones attached here and there. His curiosity was getting the best of him as he reached for the door’s handle, wondering where the door might lead. Just then Avery ran into the garden house screaming. “Oh no! The dogs are coming!” And in her haste to escape Memmay’s overly excited dogs, Emma and Megan, she jumped inside the little house, pushing them both through the small door. “Ahhhhhhhh! !” the kids screamed, as they tumbled down into the dirt just outside the front of the garden house, only to find themselves very small with two big wet dog noses coming in closer for a really good sniff. ©All photographs and artwork appearing in this Web Site site are the property of Ann Lauwers and are protected under United States and International copyright laws. without the written permission from Ann Lauwers. The two new friends began their journey through the tall field grass. Chatting and laughing as they went. Avery caught a red feather that floated down in front of them. Neither of them saw the slow moving shadow creeping up behind them. The darkness ended their carefree conversation. It was now circling them on the ground. Avery and Sadie stood perfectly still. They could hear a swooshing sound and it was getting louder. 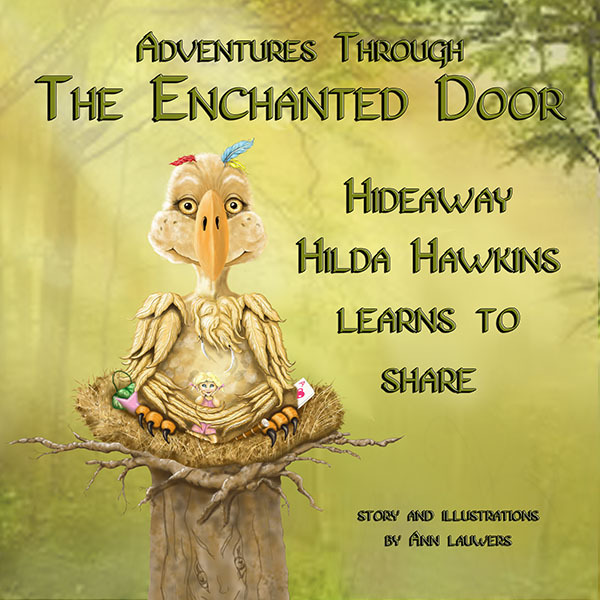 Hideaway Hilda Hawkins would take whatever she wanted. Until the day she took Avery. Find out what's happening in the gardens.